I have a lovely set to show you today - the Anonymous Lacquer and Ever After Polish Guardian Angel Duo, with a cuticle oil and latex from So Much Goodness. Dark blue plus neutral plus extras? Sign me up! 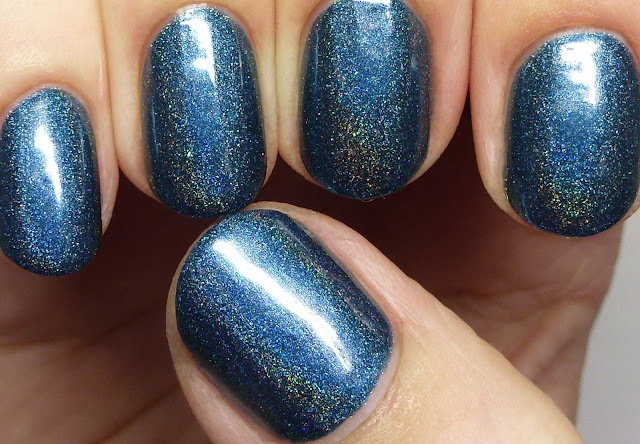 Anonymous Lacquer Beautiful Things is a dark midnight blue shimmery linear holo. This is quite concentrated and is opaque in two thin coats, though I did three. It dries satin super-quickly and did show a few bubbles at first but top coat completely eliminated them. 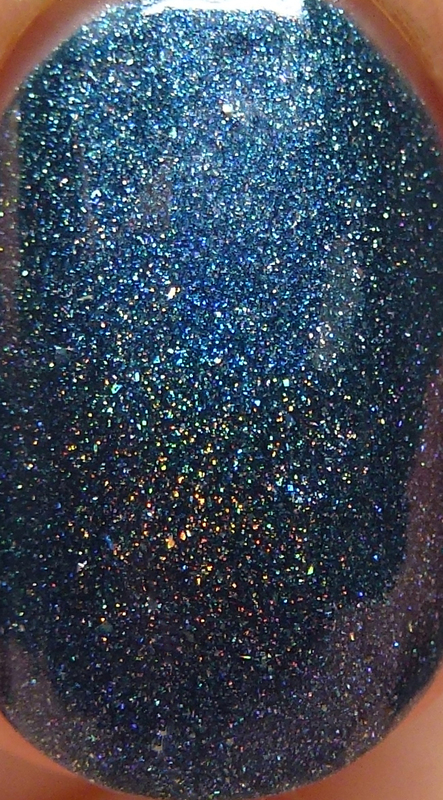 I love these kind of dark blues! Ever After Polish Angel Wings is a bone-colored jelly holo with silver flakes. Fantastic formula and not streaky at all. I did three thin coats with this one, but two are enough. I would say this is cool/neutral. The set also contains mini bottles of So Much Goodness Cuticle Oil in Mulberry and a Latex Peel. The cuticle oil was nice, very moisturizing and wonderfully scented. I would say it is a sweet, fruity scent, more like fruit punch than mulberries, per se. I definitely want to pick up more of the Cuticle Oil in the future! This whole package is right up my alley and I was glad I picked it up in December. It will be back soon when the Ever After Polish shop reopens. The cost was $30 for all four items, which are sold as a set. Which products would you like?